My friend and colleague Denise Cowle is a specialist non-fiction editor who works with a wide range of businesses, so she understands the pressure to publish better than most. Here's her expert advice on when good enough is acceptable ... and when it's not. When you write for your business, is it perfect? Should it be? Small businesses without the benefit of a dedicated marketing department are increasingly recognizing the power that quality content has to raise their profile, connect with their potential clients and ultimately drive sales. However, the focus on publishing content regularly can pile on the pressure to get something – anything – out there, to keep up with the publishing schedule for your blog, or to update your web copy and marketing materials to reflect the latest developments in your field. Does this writing have to be perfect? Should we expect everything that people produce to be error-free? If you pay too much attention to the Grammar Police, you’ll be paralysed with fear that a misplaced apostrophe or misused word will bring your carefully constructed business crashing down around your ears. There’s no excuse for poor grammar, they’ll bellow, caps lock on, from behind the anonymity of their screens. Ignorance of correct spelling is the scourge of society, they’ll mutter, labelling you as feckless, careless and lazy, without knowing anything about you or your business, other than the fact you typed except instead of accept. But as an editor, and advocate of content marketing, I beg to differ. I think there are occasions when it’s OK to put out content with errors. Shock! I know! Am I doing myself out of a job here? Not exactly. Before you go rushing off to dispense with the services of your freelance editor and disable spellchecker, let me explain. I’m not for a minute suggesting that you should take this as permission to abandon all efforts to produce great, error-free copy. I’m working on the assumption here that you’ve taken time to make your copy the best it can possibly be within your time and budgetary constraints. I’m assuming you’ve used the tools and techniques available to you; you’ve run the inbuilt spellchecker or other software, read through your text carefully, and used a dictionary when you’ve been unsure. But sometimes, despite all your efforts, errors remain, either because you’ve missed them or because you don’t actually recognize them as errors in the first place. You go ahead and hit the publish button, and your mistakes are out there for all the world to see. We’ve all done it, but it’s rarely the end of the world. When is it OK to publish content with errors? has a really high value, and your intended audience is likely to be forgiving. It comes down to the purpose of the content, the medium you’re using, and the value your audience places on it. Your reputation will survive a typo in a tweet signposting your latest blog (I’ve done it myself and lived to tell the tale). Unless, of course, the typo is so unintentionally funny or rude that it goes viral! And even then, is there such a thing as bad publicity? It depends on your business, and what the error is. If you’ve created a free email course as lead generation I’d expect it to be error-free. However, the odd missing apostrophe or spelling mistake may not be a deal-breaker for your audience if the content is amazing and provides lots of value. When is it not OK to publish content with errors? – This includes anything medical, legal or financial. you are selling services related to language use, however tangentially. – I’m looking at you, writers, editors, proofreaders and educators! – The investment may be time, money or both. – You don’t want mistakes hanging around to haunt you. – Think carefully about who you’re targeting, and what their attitudes to errors might be. Who wants to hire an editor with spelling or grammatical errors in their copy? The answer should be: no one. No one wants to see any writing, however fabulous the content, strewn with spelling mistakes and grammatical blunders. But I’d much rather see you sharing your content with the world than keeping it in a draft folder because you’re worried that it might contain errors. Don’t allow fear to prevent you from publishing. Do your due diligence – run spellchecker, follow my tips on how to proofread your own writing – and get it out there! The world doesn’t stop turning because of a couple of typos, and you owe it to yourself and your business to write that copy, making it as good as you can. Should you hire someone to edit/proofread blog posts or other content? Rather than slogging over copy like it’s your overdue English homework, you might recognize that your time is better spent elsewhere and free yourself from the burden. If writing isn’t an enjoyable part of your work, wouldn’t it be better to outsource all or part of the process? Giving yourself permission to do this acknowledges that your time is a commodity in your business, and you have a responsibility to spend it wisely. the cost of errors could be financial, e.g. lost sales. your audience will perceive any mistake, however minor, negatively. You may be selling a premium brand, where errors simply aren’t an option. errors will reflect negatively on your credibility to provide your services, e.g. as an editor. Not everyone is blessed with the ability to write well and consistently, but I believe that everyone can improve with practice. Learning from mistakes is a crucial part of the process, and that can only happen when you write your web copy or publish your blog and allow other people to read it. Good enough can be enough when it’s on the road to even better. Denise Cowle is a copy-editor and proofreader for non-fiction. She works with educational materials, reports, marketing copy and blogs. Her blog focuses on helping you to be a better non-fiction writer. Denise is an Advanced Professional Member of the Society for Editors and Proofreaders. ​Unfortunately, there are a lot of myths about ‘rules’ in writing. Sorting out what’s right or wrong versus what’s preferred or asked for can be tricky for the inexperienced author. In this article, I offer some guidance. 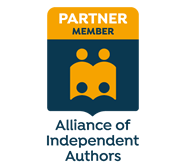 ​Don't forget to claim your FREE copy of my Guidelines for New Authors booklet at the bottom of this post! ​Writing well means understanding the difference between a rule and a preference. In the world of the written word, these two things often become confused. How do you sort out the rules from the preferences? There is a difference between choosing where to place an apostrophe and choosing how to spell ‘focused’. You can get the first one wrong because different placements will create different meanings. You can’t get the second one wrong, but you can be inconsistent; ‘focused’ and ‘focussed’ are simply variants of the same word and both are correct in British and American English. So, how do you work out what’s a rule and what’s a choice? Check a good-quality dictionary or reference manual if you’re unsure. Oxford Dictionaries Online is a great place to start because it shows spelling variants – e.g. whiskey/whisky, organize/organise, centre/center – and explains whether these are equally acceptable across different regions, more likely to be used in one particular part of the world, or distinct to a particular area. Refer to a style manual. A good-quality style manual should distinguish between a rule and a preference. Which one you choose should be relevant to your audience. If you’re working with a publisher, the press will probably have its own house style, or refer you to a preferred guide like New Hart’s Rules or The Chicago Manual of Style. If you’re a self-publishing author, you can create your own, though a professional editor and proofreader should offer this as part of their service. Creating your own style sheet enables you to record decisions about hyphenation, numbering, capitalization, spelling variation, punctuation style, etc., and enforce common-sense consistency without becoming bogged down in overly prescriptive ‘rules’ taught to you by someone who thought they knew better. You can find a free template for a style sheet on my Self-publishers page. Check online resources from grammarians and linguists to help you separate the good sense from the nonsense. That way, you can defend your decisions. Consider your audience. Certain types of writing (and those who will be reading it) bend more easily to particular style choices. Website copy that needs to communicate big ideas in small spaces may lose its wow factor if the writer worries too much about avoiding certain grammatical choices. Articles for publication in specialist magazines and journals may require the writer’s adherence to specific publisher house-style preferences or academic traditions. Engaging fiction writing, especially dialogue, can be damaged when character voice or idiom is buried by grammatical pedantry. Broadly speaking, a good piece of writing will be sensitive to its audience. Variations in punctuation style, idiom usage, spelling and grammar abound, but they are just that – variations, not mistakes. There are plenty of excellent online articles highlighting common things that writers are told are ‘wrong’ when in fact they’re perfectly fine. I’ve provided a summary here, though if you read the linked-to articles in full you’ll quickly realize that the same sticking points arise time and again. Myth 1: Verbs with -iz suffixes are Americanisms (for example, specialise vs specialize). This isn’t true. In fact, use of the -iz form has been around for over 400 years and is a completely standard variant that’s recognized, and widely used, within UK publishing and beyond. Consistency is what you should look out for. A word of caution, though – take care not to apply the style globally to your text. There are some words that must retain their -is suffix (e.g. compromise, advertise). Oxford provides a useful list of the most common words that must be spelled with -is. If you’re in doubt, look up a word’s spelling in a good-quality dictionary that includes variants. Myth 2: You can’t split an infinitive. There are numerous online articles debunking this myth, but one of my favourites is Language Myths by Patricia T. O’Conner and Stewart Kellerman (Grammarphobia). Myth 3: You can’t use a preposition at the end of a sentence. This is incorrect. You can use a preposition at the end of a sentence – in fact, sometimes it’s far more comfortable for your reader. There’s no chair for me to sit on. He had no one to play with. The football match is over. We had to do several sets of exercises with no rest in between. Recasting these sentences to avoid the end-of-sentence prepositions would likely render the text stilted and unrealistic. Unless you're Yoda. Myth 4: You mustn’t begin a sentence with a conjunction. This is yet another dose of hypercorrection – obviously, you don’t want your writing to be boring, so it pays to not overdo it, but there’s nothing grammatically wrong with starting a sentence with a conjunction. And in some cases it can even add punch to a sentence (see what I did there?). Richard Feloni, in 10 popular grammar myths debunked by a Harvard Linguist, reviews linguist and cognitive scientist Steven Pinker’s The Sense of Style (published by Allen Lane in 2014), and writes: ‘Teachers instruct young students that it is incorrect to begin a sentence with a conjunction (and, because, but, or, so, also) because it helps keep them from writing in fragments, Pinker writes, but it's advice that adults don't need to follow. Avoid writing an ugly “megasentence” full of connected independent clauses, and feel free to start a sentence with a conjunction’ (Business Insider UK, 2015). Myth 5: You must place two spaces after a full point. Actually, it's best not to – it looks awful on documents produced with modern word-processing software such as Word or InDesign. Publishers don’t do it; nor do professional typographers. When we do it, it makes the text look gappy and amateurish. You can do a quick search and replace in Word to remove double spaces (simply click Ctrl H, and then type two spaces into the Find What box and a single space in the Replace With box). This supposed typographical rule is purported to be a hangover from the days of monospaced letters on typewriters; these had only one font that gave equal space on a page to a wider letter such a ‘w’ and a narrower symbol like a full point. Whether that's true is not the point. Go to your bookshelf and pick up any contemporary, professionally published book; I promise you this – all full points will have a single space after them. Delete your double spaces and you're more likely to look like a pro! For an entertaining discussion of the issue, read Farhad Manjoo’s article Space Invaders (Slate, 2011). Myth 6: You can’t use ‘they’ as a singular pronoun. This old chestnut gets a lot of peevers in a pickle. It’s a shame because it’s a rather splendid solution for those who want to write clearly and succinctly while avoiding gendered language. It’s been in use for a while too – from at least the sixteenth century. Some publisher house styles demand the avoidance of the singular ‘they’; others embrace it, given that, as Arike Okrent notes, ‘[i]t’s perfectly good English. It sounds completely natural. Great writers like Shakespeare and Austen used it’ (4 Fake Grammar Rules You Don’t Need to Worry About, Mental Floss, 2015). Oxford Dictionaries concurs. Myth 7: You shouldn’t start a sentence with ‘However’. You can, but getting the punctuation right is essential. The weather’s been awful recently. However, it’s due to brighten up next week. I’m taking a gap year to travel around Europe. However, I’ll resume my studies in a year’s time. Note that when used in this sense, it should take a comma after it so as not to make your reader think it’s being used in the sense of (b), below. (b) ‘However’ can also be used to mean ‘in whatever way’ or ‘regardless of how’. In this case, I wouldn’t place a comma after it because it would interrupt the sentence. However you get there, just be sure to arrive before 4 p.m. However much you think you know about grammar, there’s always someone who’ll insist that you adhere to their pet peeves. Mignon Fogarty provides a good overview of the issue in Starting a Sentence with ‘However’: Right or Wrong?. She also provides some thoughtful advice about avoiding placing ‘However’ at the beginning of a sentence: ‘Sometimes it’s still a good idea to avoid it because a lot of people think it's wrong. I don’t advise starting a sentence with ‘however’ in a cover letter for a job application, for example. You don’t want your résumé to get dumped because someone thinks you’ve made a mistake even if you haven’t’ (Quick and Dirty Tips, 2013). Depressing, but worth bearing in mind! First, consider Jonathon Owen’s reminder that good writers should never ignore register. ‘There’s a time and a place for following the rules, but the writers of these lists typically treat English as though it had only one register: formal writing. They ignore the fact that following the rules in the wrong setting often sounds stuffy and stilted. Formal written English is not the only legitimate form of the language, and the rules of formal written English don’t apply in all situations. Sure, it’s useful to know when to use who and whom, but it’s probably more useful to know that saying To whom did you give the book? in casual conversation will make you sound like a pompous twit’ (12 Mistakes Nearly Everyone Who Writes About Grammar Mistakes Makes, Arrant Pedantry, 2013). Second, bear in mind that some people’s ‘rules’ are actually just their pet peeves. Taking time to understand the difference between a rule and a preference will at least enable you to defend your choices. However, don’t be surprised if some sticklers still object to your decisions – there’s no consensus. Says editor and writer Stan Carey, ‘There are local and institutional conventions, but since English lacks an official language academy, there is no universal Standard English. Pick a version and you will find it riddled, as Geoffrey Pullum wrote, “with disorder, illogic, inconsistency, oddity, irregularity, and chaos”. Amidst such ragged variability, clarity is desirable and elegance is admirable, but while certain rules facilitate these qualities, others are misguided myths that undermine them’ (Descriptivism vs. prescriptivism: War is over (if you want it), Sentence First, 2010). And as promised, here's your free booklet! It includes lots of useful guidance and links for newbie writers. I hope you find it useful. Click on the picture to get yours. If your client wants sensitive end-of-line word-breaks in their text, and they will if they're asking you to proofread for print, this online tool will help you decide where to break the word and insert the hyphen. There's always the trusty New Oxford Spelling Dictionary, an authority on spelling and word division. However, if you have clients that want every end-of-line hyphen checked, you'll need something more efficient than a book. Perhaps you work on magazine articles, three columns to a page. Word breaks abound. And since the client pays on a flat-fee basis for each job, looking up these darn things impacts on your hourly rate in no small way. Oxford Dictionaries includes online access to its dictionaries and thesauri, New Hart's Rules and Pocket Fowler's Modern English Usage. It also includes a function for checking word-breaks. I'm not chucking away my print book quite yet. There are limitations to the online version. For example, 'wingless' doesn't have its own entry, but is part of the definition of 'wing', so the preferred break (wing | less) isn't offered. Still, productivity increases are only a click away if you have to check end-of-line word-breaks frequently. To access, go to Oxford Dictionaries. You might have to pay for an account. However, if you're a member of a UK library, access is free. Pop in your library card number (1) and click on the LOGIN button (2). Type in your word, then scroll down to FOR EDITORS AND PROOFREADERS. There you'll find the recommended break where the word should be broken and the hyphen inserted. Sentence First is an English-language blog hosted by scientist, writer and editor Stan Carey. What I love about this blog is the fact that Stan, in addition to being informative, interesting, and sometimes amusing, always offers a fat dose of good old-fashioned common sense. Don't forget to take a look at all the resources in the Sentence First sidebar – there's a long list of links to more blogs and websites that will be of interest to language lovers. Oxford Reference is one of my all-time favourite sites and proofreading tools. Not only does it provide online access to OUP's renowned dictionaries and thesauri; it also has a section for writers and editors that enables full searchable access to the excellent New Hart's Rules and Pocket Fowler's Modern English Usage, two of my well-thumbed bookshelf staples. If you’re a member of a public library in England and Northern Ireland, you have FREE access to this resource. All you need to log in is your library card number (and the three-letter prefix identifying your county). Otherwise you'll need to pay. An individual subscription costs £42 per year. Grammar guru Mignon Fogarty hosts the excellent Grammar Girl website and founded Quick and Dirty Tips.